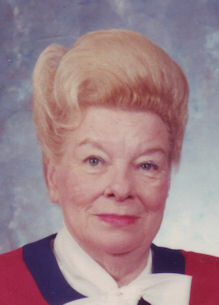 Christine I. Saltis-Nedelman (nee Bollmeier), 92, of Lorain, died Wednesday February 6, 2019 at Anchor Lodge Nursing Home in Lorain after a short illness. Chris was born on January 2, 1927 in Germany and moved to Lorain in 1948. Chris was a German war bride having met her husband Robert while he was in the military and stationed in Germany. She owned, operated and worked as a hairdresser at Chris’ Beauty Salon in Lorain for over 40 years before retiring. Chris was a member of St. Peter Parish in Lorain, the American Slovak Club in Lorain and the National Hairdresser’s Association. For 13 years, she volunteered at Amherst Manor Nursing Home. She enjoyed playing the harmonica, bowling and golfing. She is survived by three grandchildren, several great grandchildren and several cousins. She was preceded in death by her first husband Robert C. Saltis, second husband Jack L. Nedelman, son Peter Saltis, parents Heinerich & Margaret Bollmeier (nee Von Aspern) and 13 brothers and sisters. The family will receive friends Monday February 11th from 9:00 am until the time of funeral services at 11:00 am at the Gluvna-Shimo-Hromada Funeral Chapel, 3224 Broadway Ave, Lorain. The Rev. Gerald Keller will officiate. Burial will follow at Calvary Cemetery in Lorain. St Peter Parish, 3655 Oberlin Ave, Lorain, OH. 44052.